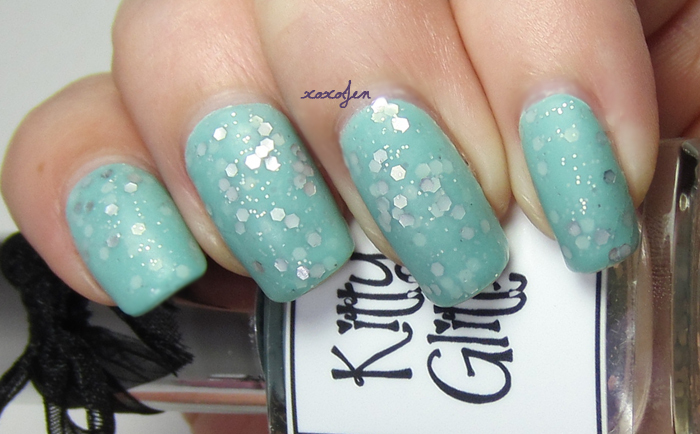 I wore this over two coats of In a Tiff by Nina Ultra Pro which is a dupe for the Tiffany company jewelry box color. 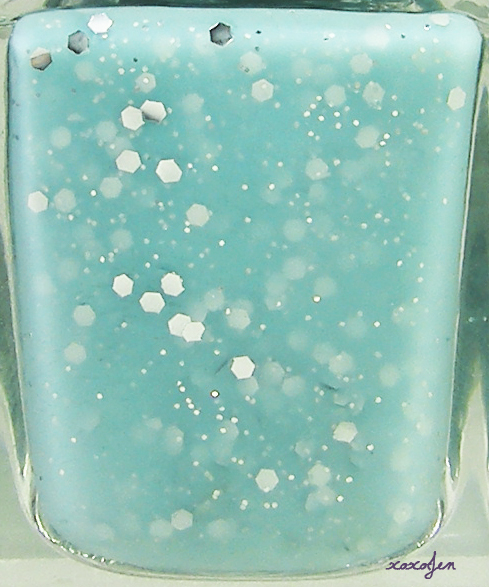 Pam's creation has two different sizes of silver hex glitter (medium and micro) in a blue-green jelly base. 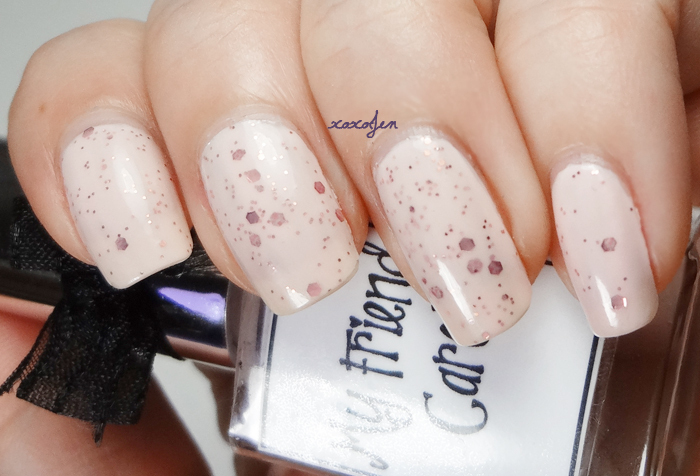 The second swatch photo is with Hard Candy matte top coat. Mattify all the things! I really enjoyed wearing this color and the application was easy peasy. My Friend Carol is another of Pam's pretty creations. 1 coat My Friend Carol over 2 coats of CQ Angel - one topped with HKG and one topped with Hard Candy matte top coat. Have you tried any of Pam's polishes? Ooooh. 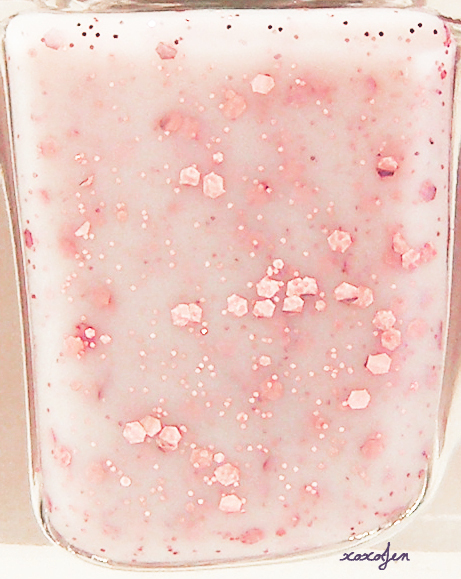 This looks so pretty with that "Tiffany" color. I currently have this on my toesies:) I used a more blue, but I will have to try something more green. Great pictures! Oh I bet its really pretty with blue underneath it too! How many coats of Kitty Glitter is applied here? I applied 2 coats and not collecting nearly as much glitter as pictured here. Its either one or two coats, I don't recall. I used two coats of In a Tiff underneath it. I remember! :) I just wanted to stop by your blog, its such a sweet gesture of you. I appreciate the link back too!